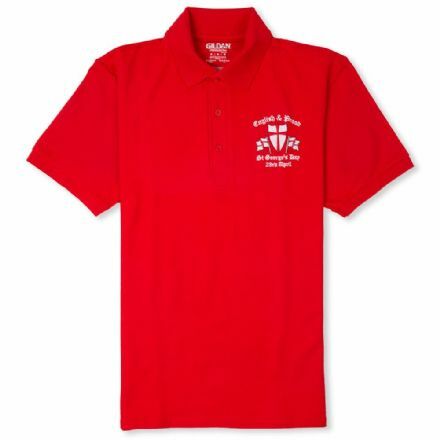 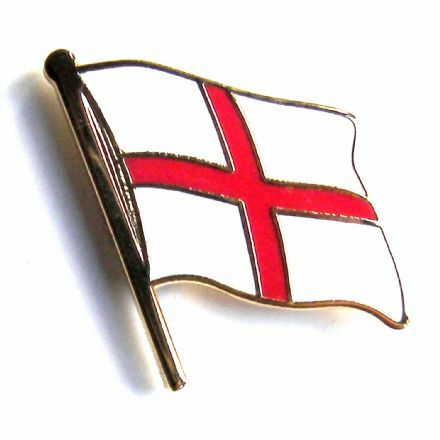 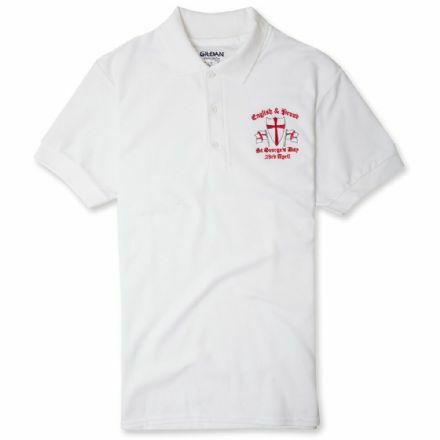 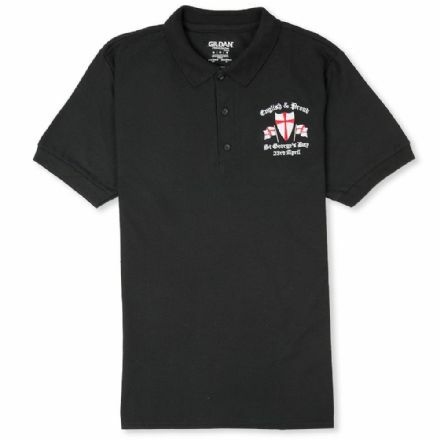 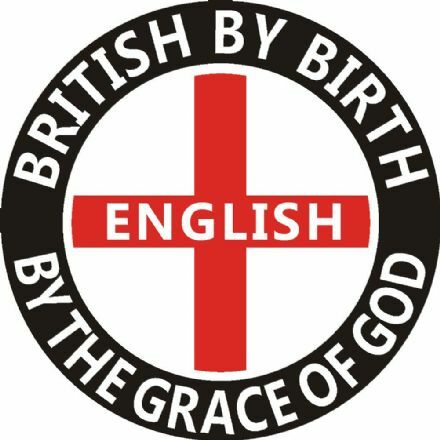 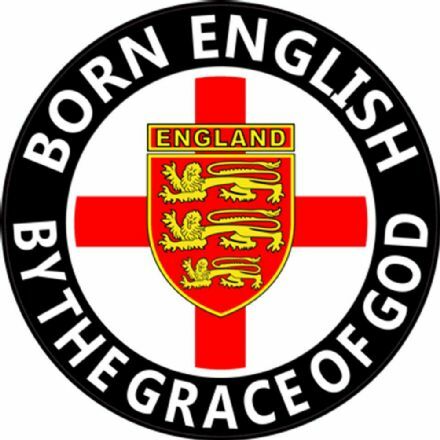 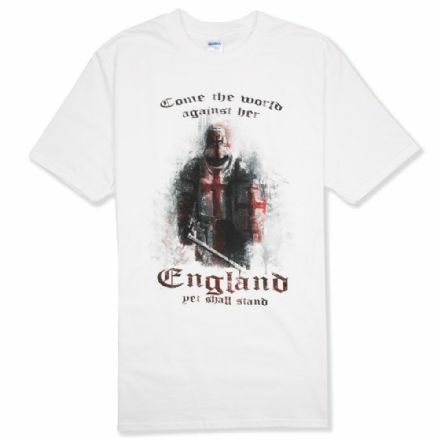 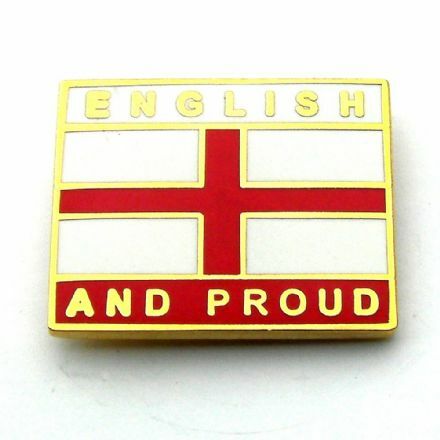 England badge featuring Cross of St George. 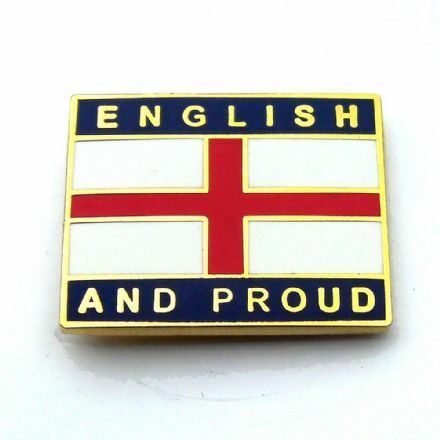 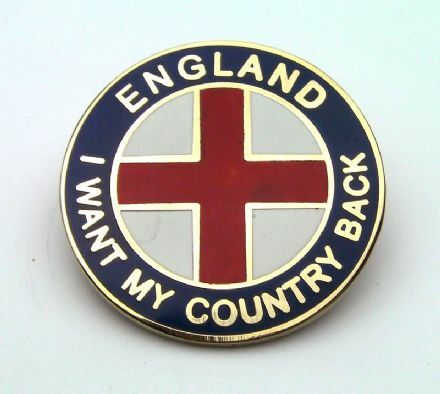 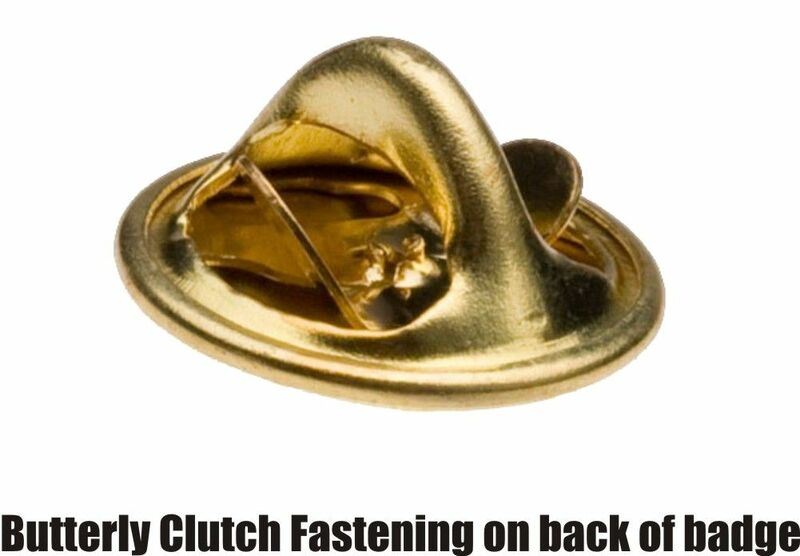 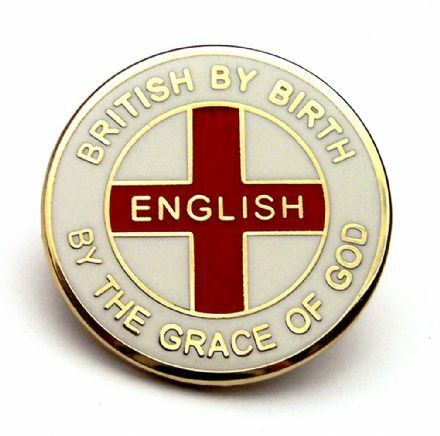 Stamped copper and hard enamel England pin badge. 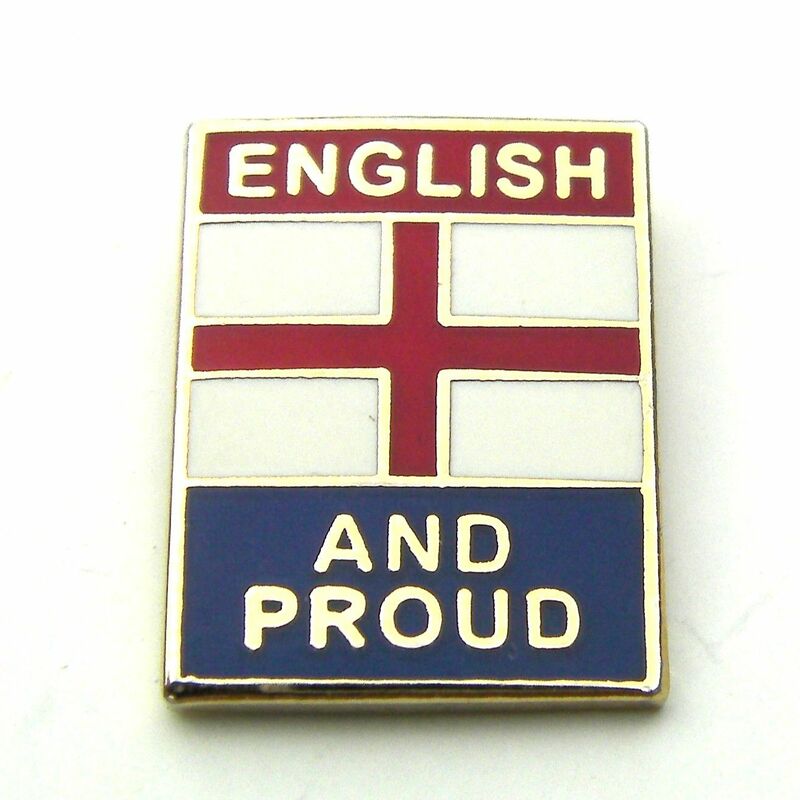 Features wording - "English and Proud".